Have you noticed that, since the latter part of May, Frenchay has become a different, even more delightful, place? The transfer of Frenchay Hospital staff to Southmead has returned the village to an earlier age with only modest car parking, in stark contrast to the years of high volume, and often indiscriminate, parking we have endured. Long may it last! During the meeting, you will be able to hear about the proposed Constitution to be introduced and, subsequently, be asked to vote for Committee Members who will run, with your support, the new organisation the title of which will change from RUG to FRA: Frenchay Residents Association (FRA) (Safeguarding Frenchay’s Best Interests). 1. What is going to happen to the 26 acres of market garden land that separates Frenchay from the M32? You will be surprised! 3. Andrea Young, Chief Executive of North Bristol Health Trust will talk about the new Southmead Hospital and how a new, long-term, relationship with the residents of Frenchay is being forged. Finally, please may I remind you that all our reports together with other important documents regarding the development can be found on this web site under the Information menu. And, as always, please remember: It’s ‘Our Frenchay’ and The change is not for now – its forever!!! I would like to start this month’s report by sincerely thanking all those who attended our 3rd Village Meeting on Friday evening, 2nd May, and the many emails of encouragement from those who were unable to make it. Such support is much appreciated. During the meeting, several important issues were described and discussed. Of particular importance was the recognition of the need for RUG to produce a constitution, to be agreed by members, which would lead the way to the Committee being voted into office. Furthermore, it seems almost certain that the name RUG will be replaced with FBI, (Frenchay’s Best Interests), and that FBI will not just be a communications vehicle for the hospital development but will support other local groups, if they so wish, in their efforts to secure a better and sustainable future for Frenchay. Also, it was agreed that an annual subscription of £5 per person would be the best way of providing funds for future activities. It was gratifying that, when the three principal issues mentioned above were voted on, with the exception of one or two abstentions, all were agreed unanimously. Notes of the above meeting were taken and can be found here. Also of great importance, as mentioned last month, is the creation of specialist sub-groups that can focus on a specific issue or activity, for example, the maintenance and development of the new Village Green, which Bob Woodward has kindly offered to lead. More information concerning such sub-groups will be distributed soon. Similarly, Hugh Whately has volunteered to head a Design Code group, made up of local residents who, within the limits of the Outline Planning Application, can start to consider the design, style, layout and general architectural features of the new dwellings, to be shared with the developer(s), when known. As the sale of the site is now likely not to start until late autumn, the successful builder(s) will not be known until, perhaps, early 2015, so we have time to put together our ideas for the site. Again, more information will be made available soon. I do hope as many as possible of you will attend as you will be asked to vote for new Committee members and on several other important issues. Often I start these reports by saying that the information might be rather old by the time you read it. However, that is certainly not the case this month! RUG feels a Village Meeting is not just important at this time, but ESSENTIAL, for a number of reasons. Firstly, may I remind you that RUG was set up, and supported by North Bristol Health Trust (NBHT), in April/May 2012, as a mechanism for passing information about the Hospital’s development plans to local people and, conversely, for their ideas and concerns to be made known to the Hospital and its consultant planners/developers GVA Grimley. 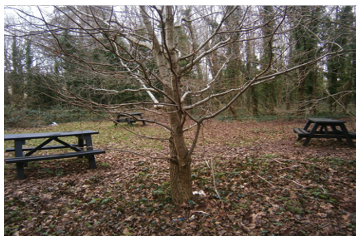 The situation with regard to these two issues now is that Lime Tree Avenue is to be kept and 25 acres of green space, on which there might have been new housing, has been preserved as a Voluntary Village Green which, many thought, would be impossible to achieve. 1. What will happen to the land allocated to the proposed Community Hospital if it is not built? 2. How will the Village Green and Lime Tree Avenue be maintained and developed? 3. What will happen to the listed buildings? 4. What is happening regarding the desire to have one school for all the children of Frenchay? 5. How can we best welcome and integrate the new residents to Frenchay? 6. How might we secure a GP practice and perhaps chemist shop? 7. Should we now start a new campaign to secure the much desired Community Hospital? 8. How can we ensure the new houses are appropriate for Frenchay? 9. Should we propose the that the road junction by the Village Hall be reverted back to a ‘T’ junction where Beckspool Road is the main through carriage way, thus making a short cut through Frenchay less attractive, especially during rush hours? Firstly, the possibility of setting up a sub-group, perhaps called the ‘Friends of Frenchay Common’, to work with the authorities, in particular over the next 3-5 years, as the new houses are built, to ensure our new Village Green is protected, maintained and developed in an appropriate manner. Secondly, as regards the integration of the new residents with the existing ones, which has always been seen as crucially important, perhaps another sub-group could be instigated, possibly called the Residents Integration Group (RIG)? Thirdly, it has been suggested that RUG changes its name, a possible alternative being ‘Frenchay’s Best Interests’ (FBI). Another very important matter is the legitimacy of RUG. In this respect, the RUG Committee is made up of local resident volunteers who have a deep love for the village and are fervently keen that the development of the Hospital site, which will be the biggest change in the village’s 750-year history, enhances its existing charm and beauty. We have spoken endlessly on behalf of the residents of Frenchay based on the mandate forms that over 1100 have signed which, we thought, gave us your permission to speak on your behalf. However, some have, rather hurtfully, suggested that we have little, or no, mandate because we were not elected. Therefore, at the forthcoming meeting, we will discuss this and try to establish, once and for all, a local mandate system that will be recognised by NBHT/SGC, and others involved with the site, as giving us your authority which could, perhaps, be considered annually via a village ballot? On behalf of local residents, conduct activities that will precipitate an acceptable and appropriate development on the Hospital site, derived from local views, that enhances the ancient village of Frenchay and leaves a legacy for current and future generations to admire and enjoy. Whatever the outcome, we must not forget that: It’s ‘Our Frenchay’ and The change is not for now – its forever!!! As always, this article is written nearly three weeks before you read it, hence the information can, sometimes, be out of date. I’ve started this report in this way because when you do read it the Village Green Public Inquiry (VGPI) will be over, having taken place between 18th-21st March, although the Inspector’s recommendation may still not be known. However, at the time of writing RUG is doing all it can to support the Village Green (VG) applicant, Bob Woodward, and helping to ensure that the case for a VG is as comprehensive and convincing as possible. Furthermore, everyone to whom RUG has spoken would, ideally, like to see the maintenance of the new Village Green to be undertaken by Winterbourne Parish Council who, after all, have always maintained Frenchay Common, Tuckett’s Field and the 8 acres of Frenchay Moor to a very high standard. In addition, it must be remembered that the Frenchay Park land was once part of Frenchay Common. Whatever the outcome, RUG would like to take this opportunity to thank all those who have helped in so many ways, in particular, those who have volunteered to be witnesses during the Inquiry. It is difficult to think of a greater gift to those who will inhabit the new homes on the Hospital site development and, of course, everyone else who lives, or visits, Frenchay than providing and protecting this magnificent space by ensuring it remains a VILLAGE GREEN. As stated last month, one very positive, and direct way, of ensuring that the majority of the green open spaces within the hospital site are retained for recreational purposes, not just for those who have enjoyed the park land for many years, but also for the benefit of the large number of new people from the development, is for Village Green status to be granted to them. Furthermore, this now appears the only way to safeguard, in perpetuity, those areas, known formally as Frenchay Park Land, which we feel South Gloucestershire Council should hold in trust for the people of Frenchay and maintain it, as they do the common, and other public land, within our village. We would like to remind you that the current Outline Planning Application (OPA) shows a much reduced green area, with the loss of most of the nature reserve and further states, firstly, that the land which remains will become the responsibility of a ‘Management Company’ and, secondly, that this land will not be built on. However, RUG is suspicious that, sometime in the future, this latter statement could be challenged and feels strongly that only the status of Village Green could prevent future development. We have been overwhelmed by, and are very grateful to, the large number of local people who have volunteered to be witnesses during the four-day hearing. However, if you are not a witness but are able to attend for an hour or two to demonstrate your support, it would be much appreciated by all, in particular those giving evidence. In addition to the above, and after receiving expert advice from a barrister, and support from our local MP, Jack Lopresti, RUG has applied to the Local Government Ombudsman, and the Secretary of State for Communities and Local Government, to intervene, and review, the decision made on the 10th December 2013, by South Gloucestershire Councillors, to accept the OPA. This, as you will remember allows for 490 houses to be built, does not mention a community hub, and makes a quite unrealistic forecast about future traffic in Frenchay, etc. Furthermore, it is only a partial plan for the site as it omits mention of the future use/development of listed buildings and nearly five acres of land (two football pitches), these latter, hopefully, destined for a new Community Hospital but the use of which seems increasingly uncertain. Remember: It’s ‘Our Frenchay’ and The change is not for now – its forever!!! As many of you may know, RUG was created in May/June 2012, at the request of North Bristol Health Trust, to act as a vehicle through which information could be passed from the Trust’s planning agents, GVA Grimley, to local residents and, conversely, as a means whereby the wishes of local residents could be taken into account when developing a plan for the site. We now realise, with hindsight, that the creation of RUG was a ploy by GVA to appear to be complying with its legal responsibility to engage with local residents, whilst in reality taking very little, if any, notice of the wishes or concerns of residents. Thus, in reality, they did nothing to fulfil the spirit of local engagement. Regrettably, South Gloucestershire Council were similar. For example, they did not request a single meeting with residents throughout the whole of 2013. Although RUG did manage, after six months of contacting them, to get the case officer to address a Committee meeting on 10th June 2013, at which we learned of the frequent and detailed meetings they were having, and continued to have, with GVA! a. Both Jack Lopresti, and RUG have written to Amanda Deeks, Chief Executive, SGC, requesting an internal investigation into the whole planning process. These requests, and her unsatisfactory reply are now available on this website. b. That we prepare an application to the Local Government Ombudsman explaining how local residents feel that neither GVA, nor SGC, have not engaged properly with local residents, thereby fundamentally contravening the spirit of the Localism Act, and have also ignored some of their own planning rules and senior planner’s advice. c. Ask the Secretary of State for Communities and Local Government, Eric Pickles, to ‘call in’ the planning application, which, initially, temporarily withdraws planning permission and thus halts the sale of the site and, ultimately, can render the withdrawal permanent. If this happens then GVA, or another agent, would need to develop a new plan. RUG is actively progressing all of the above especially as both the Secretary of State, and the Ombudsman, have the authority to ‘quash’ the OPA which could lead to a new plan and the creation of a Community Board on which both professional and local residents work together, something RUG has been advocating for nearly two years. However, to meet the above challenges, and inevitable increased workload in preparing documents and providing detailed information, RUG will need additional people with specialist skills and fortitude to take these tasks forward, a process that is currently being undertaken. One very positive, and direct way, of reducing the unacceptable number of houses allowed in the OPA, and prevent further building expansion in the future, is for Village Green status to be granted to all the green open spaces on the site. This now appears the only way to safeguard, in perpetuity, the green open park land that we have all had access to for so many years. The current OPA shows a much reduced green area, with the loss of most of the nature reserve, and further states, firstly, that the land which remains will become the responsibility of a ‘Management Company’ and, secondly, that this land will not be built on. However, RUG is suspicious that, sometime in the future, this latter statement could be challenged and feels strongly that only the status of Village Green could prevent future development. The Public Inquiry to determine the Village Green Application will take place on 18th, 19th, 20th and 21st of March at the Greenfield Centre in Winterbourne. We need your support at the Inquiry, so please pencil in those dates in your diaries. We will advise you of the precise details later and make it as easy as possible for you to attend. Once again, we thank you for all your wonderful and continuing support. By the time you read this report, most residents will know that, on the 10th December, the Development Control Committee (DCC) from South Gloucestershire Council voted to accept GVA Grimley’s plan for the Frenchay Hospital site. This was not, of course, the outcome we all hoped for as the plan fails to take into account most of the wishes and concerns of local people. I think it must be said that ‘the system’ seems to be designed/deployed in favour of the applicant. The most blatant feature being that if the plan had been rejected by the DCC, the applicant could immediately appeal to an established Government body, the Planning Inspectorate, and potentially have the decision reversed. In stark contrast, local people, who will have to live with the results of the decision, have no right of appeal nor body to turn to. Nevertheless, RUG will continue to seek more concessions from the land owner, North Bristol Health Trust, such as the retention of Lime Tree Avenue. In addition, we will, with your support, pursue the Town and Village Green Application in order to try and protect the Frenchay Park land from being affected by buildings being extended into various green areas, such as the Nature Reserve, as the current plan allows. It is sad indeed that people from outside of Frenchay can suddenly appear and without our consent, change the village we all love so much, completely ignore the wishes and concerns of villagers, but then state how much they have listened and embraced our requests. Nevertheless, RUG is committed to continue to work on behalf of all local residents and influence, in whatever way it can, those who are shaping ‘Our Frenchay’ in the hope that, ultimately, we have a development that is a real legacy for both current and future generation to admire and enjoy. Finally, may we thank you for your many messages of good will. We are very sorry if we haven’t replied to everyone but the workload has been very high, especially leading up to the DCC meeting. Your messages are, however, very much appreciated. Do please continue your wonderful support of RUG, and a Happy New Year to you all. Remember It’s ‘Our Frenchay’ and The change is not for now – its forever!! !